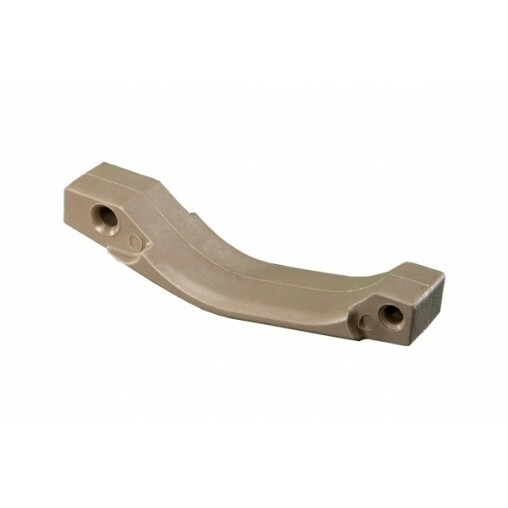 The MOE Trigger Guard Flat Dark Earth is an enhanced polymer drop in replacement for the M16/AR15 weapons platform. It features a shallow V shape for better use of gloves in tactical shooting or cold weather operations. The MOE Trigger Guard is non-folding, has rounded edges, and fills the annoying gap at the rear of the standard trigger guard. Compatible with most AR15/M16 and AR-10/SR-25 styles of receivers. Made with durable polymer.